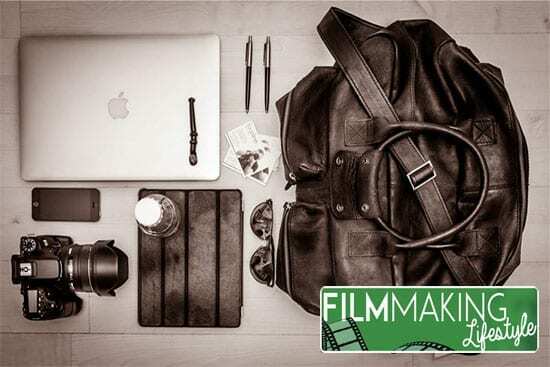 This website is dedicated to helping those who want to learn how to start a video production company, or work as a freelance filmmaker. 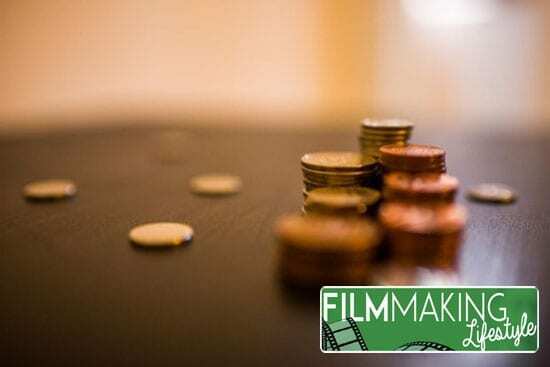 From buying your essential equipment, to getting your first client, and getting paid; this article will cover every you need to know to start and grow a successful video production company. There are many positive aspects to owning your own video production company, and some negative ones. If you accomplish starting and building your company, then you will be your own boss, manage your time and you will enjoy full benefit of the profit you make. On the other hand, you will be responsible for a growing company that will will feature a few headaches that you might not have considered along the way: from human resources, to production nightmares, marketing & sales and keeping the books on the uppity up. 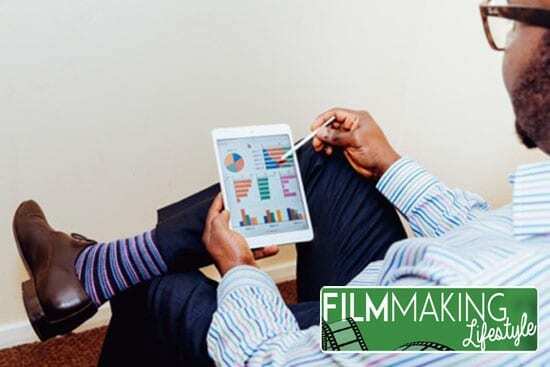 To run a successful video production company, you’ll require tonnes of self-discipline and hard work that, if done right, will be absolutely worth it. But how will you start this endeavor? In this article, we’ll compile a short version of the full guides on how to start a video production company. To get started you will only need the essential gear. You can always start investing in more equipment when you start growing. Also, equipment is always evolving and being updated, so it’s tough to recommend specific tools, but here’s a list of the essentials that you will need to start your video business right now. In the past, acquiring a film camera to work as a professional filmmaker was somewhat inaccessible and difficult. These days, we’re living the “DSLR Revolution”. For years filmmakers had craved an affordable camera that generated a “filmic image.” The 1080p HD shot in 24p with a DSLR was the answer. 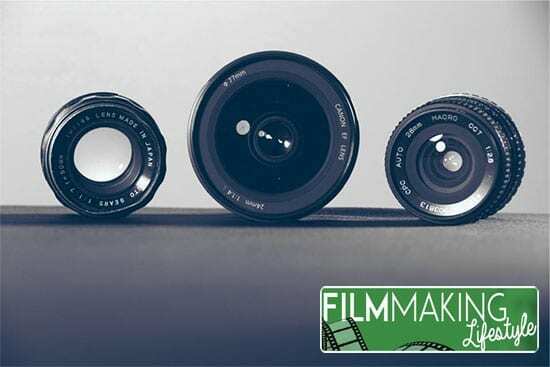 It’s true that many indie films have been shot on DSLR and even some Hollywood films. This is great, because it means that the technology needed to produce great cinematic looking videos is more accessible, but it also makes the field more competitive and leaves the quality of your work at the hands of your technical and artistic knowledge. Two of the top DSLR brands, as we already mentioned, are Nikon and Canon. They have a whole range of entry level and more professional cameras. As with anything, you get what you pay for, but even the cheaper ones are really good and can get you to great results. If you want a professional DSLR but it’s far out from your budget, consider seriously buying used cameras. There’s a good deal of photographers that are constantly renewing their gear and don’t mind letting go of their old camera for a fair price; or amateurs that thought they liked photography for a month or two and now want their money back. As a great upgrade to a DSLR camera, you can look into something like the Canon C100. The C100 is a more professional camera with a lot of features that you don’t get with a DSLR. It also uses the same mount as the Canon DSLRs, so all your EF mount Canon lenses will work with it. The lense is just as important as the camera body and will, in most cases, last you longer. You don’t need loads of lenses to get started in video production, since you have the option of hiring them depending on the particular job you have to do and its requirements. Canon and Nikon have a wide range of lenses to go with their camera bodies, but there are cheaper alternatives like Tamron and Sigma. Be aware that to fit some lenses in some cameras of a different brand, you might need a lens adapter. If you’re working with Canon (my brand), a great ‘walk around’ all purpose lense is the awesome 24-70mm 2.8. This is great if you’re working with full-frame cameras (like the Canon 5D Mark ii, Mark iii, the 6D, etc). You’ll find this lense helpful is most standard video production situations — you get get fairly wide shots, as well as covering two-shots and singles quite nicely. After you get a great multi-purpose lense like the 24-70mm, you should invest in the very cheap ‘nifty-fifty,’ which is th Canon 50mm 1.8. Great depth of field and awesome for creative work. Follow that up with a great telephoto lense like the (much more expensive) Canon 70-200mm 2.8. For video, make sure you get the version with IS (image stabilization), though! You can thank me later. Nikon, of course, have a range of equivalent lenses. And most of the lenses I mentioned above have cheaper Tamron and Sigma little brothers. Although, ensure you do your due diligence before buying. You will find a computer will be necessary for the job as soon as you start, because you will need to edit the footage you have filmed. It’s not a bad idea to carry your laptop and some hard drives to your shooting locations. If it’s a shoot that will last many hours, you should get into the habit of ‘ditching’ footage onto hard drives as you go. At weddings, this is a little trickier as it’s naturally quite run-and-gun, but there aren’t many shoots you’ll attend when you don’t get at least some downtime. You’re also need a solid computer/laptop for all the tasks that owning a video production business involves, like getting in touch with clients, running your website and performing marketing through social media, etc. But that goes without saying. A laptop will allow you to be more mobile than a desktop computer. Of course it’s ideal if you can have both, since a well prepared desktop computer will run faster for heavy video editing. But, as mentioned, you can take your laptop on production shoots and upload footage directly from your camera onto it, which is something to have in mind. I’m an Apple guy, so I’d recommend the latest Apple MacBook Pro (tricked out with as much RAM as possible) for your laptop solution. For a desktop solution, and staying with the Apple theme, get an iMac or (the more expensive and more powerful) Mac Pro. Although I’ve heard from multiple editors that the iMac, from a storage and price perspective, can be the better option. At the time of this writing, the 5K 27″ iMac looks pretty awesome. You will definitely need editing software in order to put together and edit the material that you capture. Some options are Final Cut Pro X, or Adobe’s Premiere and After Effects. There are cheaper alternatives such as Sony Vegas and Pinnacle Studio. Without editing software, you won’t be able to deliver any work, so make sure you know how to use it. Luckily, these days you can find all sorts of online tutorials that will teach you how to use its specific features. A tripod is something you will need. Before getting other stabilization tools, if you’re building from scratch, make sure you get a good tripod. Something by Manfrotto is the way to go. Of course, you can film without one, but it just doesn’t look as professional — it’s the difference between professional looking footage and vacation looking footage! With this essential tool, you’ll be able to shoot steady shots, pan horizontally smoothly, and tilt (up and down) movements. After investing in an excellent tripod that will last you a really long time, then consider other stabilization tools like monopods or sliders. Good sound is extremely important to the quality of video production. When you get into this business you will find out why “audiovisual” starts with the “audio” bit. A good DSLR camera should capture “decent” sound, but you should want more than decent! On and Off-camera mics will give you good quality, and there are all sort of options at your disposal. Two affordable solutions out of many possible options could be the Rode VideoMic (on-camera) and the the Zoom H4N (off-camera). Once you master these, you can start experimenting with other solutions. As mentioned before, you have the great advantage that you can hire sound equipment to try out, and then buy the one you like the most. Building a company is basically defining your identity as a brand. You will have to create a concept of what you are and what you have to offer and, along with that, you will have to make many decisions, like picking a name, a visual identity, and the services you will offer. If there’s a specific area that you enjoy, you can decide to only specialize in that. For example, let’s say you like extreme sports and you want to shoot skaters all day long, this could be your avenue to success. You will know your field and you will get really good at it. Also, people will recognize you for it, being a central part of your brand identity, and you will have a huge passion for it, being something you already love. On the other hand, diversifying and getting all types of jobs can get you to more work, more money and you will learn a lot from the different situations you will be put in. To decide this you have to think not only about what you like, but the needs of the people/clients you will be serving. The name, image and design of all elements referring to your company will have a close link to what you do and how you do it. a homage to something you like. something that sounds futuristic and technical (we are a tech company, after all). that name you wanted to use when you were an 8 year old Spielberg wannabe contemplating starting your production company. To start getting work you have to have worked before. Sound funny, right? This is one of the great problems for getting started in any activity. You need a portfolio of the best work you’ve done. Otherwise, if you haven’t produced anything, why would anyone employ you? So if you don’t have any professional video experience, then you can get together all the pieces of work you’ve done for fun, productions you’ve done at College/University and so on, until you get some good amount of material to show until you’ve worked in a professional capacity. Once you have pro work to show, you want to add that into your portfolio (with permission, of course). Your pro folio should always be naturally evolving over time. At first, you might want to do some stuff for free (for friends, colleagues, people in the industry you respect, etc), so you can get experience and improve your portfolio. Marketing, these days, is all about the Internet. That’s an oversimplification, but let’s run with it. We have a really good and complete guide to building your website, where you will find the reasons why this is so essential to what we’re doing here. In short: you’ll definitely need one. 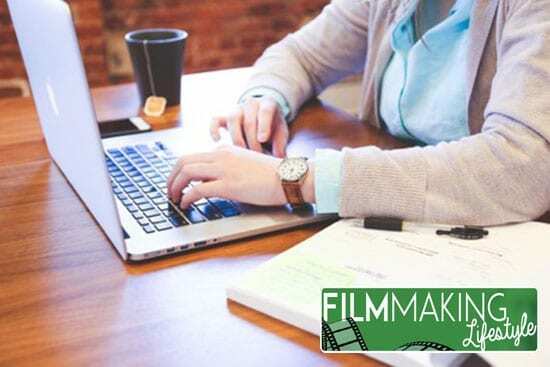 A website, for a video production company, will be a sort of online portfolio, since you will need to show your work to get new clients, and the best way to do it is owning a well-made website. It will also work as the communication channel between you and your clients, and that is certainly important! The majority of my early corporate/commercial (and wedding) clients came from finding out about my work via my website. Don’t underestimate social media and its utility for marketing your company and getting you new clients. As soon as you decide your name and image, you should start creating your social media profiles and inviting your friends and family to follow you. Never forget to take good care of the way you communicate. A professional social media profile is not the same as a personal one, so make sure you write with a professional tone and that you’re addressing the readers as you would potential clients. Even in this highly digitalized world, physical marketing material is still a key part of building a great company and getting your message out there. A eye-catching and well made business card is still a must-have. Flyers to distribute around town and leaflets where you explain your services in detail are pluses. Get a great graphic designer involved if you’re not confident yourself. These marketing materials should all follow the visual identity you chose for your company, and be well written and professionally designed. Even if you do them yourself, take design very seriously, it really changes the way people perceives you and gives them a hint on how good your work will be. The advertizing of any creative business should be outstanding from a design perspective. If you have sloppy/amateur design, it won’t make the rest of your creative services look very promising! You know there are clients out there waiting for you, but where are they? And where are they going to be looking for you? You need to know who your potential clients are, based on what you offer and who would need that service (solution) to cover their needs (problem). For this, you have to think like them. Pretend you’re about to get married and you’re looking for a videographer, or that you’re in a band and you’re looking for someone amazing but accessible to shoot your first music video. Where would you go to find a video professional? For wedding clients, think Facebook groups with brides-to-be, wedding magazines, wedding fairs and more. For music video clients, think local music forums/message boards, venues in your area, recording studios in your area, etc. That’s about outreach. But you also want people coming to you. Inbound marketing is all the range right now, and if you want to learn how to write great content online to get people coming to you asking you to work with them, we have a guide on that here. To start, you could research local businesses or people that you feel might need your services; and make a list of their email addresses. These could be, for example, businesses who don’t already have video on their website. Then you should email them. Don’t take writing the email lightly, make sure you write properly and use a professional tone, but not too stiff. Check the website of each potential client and mention some particular detail about them and their company in your email. This shows that you’re choosing them specifically, you know who they are, and that it’s not just a copy-paste to a million other businesses. When contacting them, also don’t forget to include your personal contact information and link to your website. The goal of your email should be about getting an in-person meeting. If you don’t hear back from them, you can phone them after some set time (let’s say a week). If they do respond to your email, then you have a meeting with a potential client! If they don’t respond, you can call and try and close them on the phone, and now you also have a meeting with a potential client! If you get a client meeting, and the person agrees that they want to work with you, you now have your first client! You work out a contract between you which legally binds the work. You work on their project. Give the deliverable and ask if changes are required. Deliver final version of the project. When you’re done, if the client is happy, you should ask them for a testimonial to use for attracting future clients. Also, don’t forget to keep in touch with clients, and maintain the relationship; they might have future work for you, or refer you to their colleagues and friends. There are many different ways you can get paid for your services. You can get paid by bank transfer, by giving clients the details of your bank account (be it personal banking or business banking) and have them pay you directly from their bank to yours. This can all be done online and it’s quick and easy. You can also get paid by cheque, or even accept credit cards! Once you decide on your payment methods, make sure they’re displayed on all invoices that you send out after a project is done. Your goal should always be to get paid as quickly and efficiently as you can, and everything you write and create should make that possible. This is a short version of our complete Guides to Starting a Video Company. So if you want to read more about any subject, don’t hesitate to checkout the full-length versions. There’s more detail in the full length versions and we go into more advanced concepts. We wish you the best for starting your company! Don’t forget it’s hard work but running a video business can offer adventure, fun and profit the likes of which you can’t imagine! If this article on how to start a video production company has been helpful, please let me know in the comments below. Will also appreciate any thoughts, questions and ideas about the article, as well as social shares using the share buttons below! Holy moly! What a great writeup! My question-could you start a video production company just by hiring/renting gear? Yes, you could start a video production company just by hiring gear. It’s possible, but not ideal. For one, it would be fairly expensive if you literally had to hire everything. And, secondly, it pays to have basic equipment (like a work-horse camera) on hand for run-and-gun stuff and if you just need to go and film something quickly. Those are times when renting equipment really slows you down. There are other points, but those are the two main ones which kind of tell the tale. I’d recommend starting with a good set of basic equipment and you can always rent out additional, more specific items (like lenses for a specialist purpose, etc). This is great. I will establish a production company in the future. Thanks for sharing.